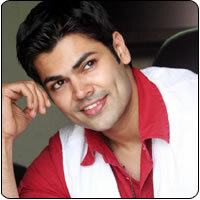 This Valentine’s Day is turning out to be ‘extra-special’ for Ganesh Venkatraman. Hold on and don’t jump to any conclusions! It is not ‘love’ but the handsome actor will be receiving the ‘Best Supporting Actor Award’ for his role as the angry and dashing ATS officer Arif Khan in ‘Unnaipol Oruvan’, on 14th February-Valentine’s Day. The Edison Awards – is the world’s first unique Tamil FILM AWARDS which will be telecasted in 7 countries and has fans from all over the world voting online for their favorite actor. The fact that Ganesh won by a huge margin also indicates the actor’s growing popularity. While talking about this award, Ganesh says ‘I dedicate this award to my fans all over from seven countries who are responsible for voting for me and ensuring that I win it’. When asked if he had a special someone to celebrate this award with on Valentine’s Day, Ganesh said “Well! Since Valentine’s day symbolizes love, this is a symbol of love from my fans to me and it would be my endeavor to give back to them through good performances in my films. And talking about that special someone, he added ‘She’s yet to walk into my life.’ Ganesh will be seen next as an upright lawyer who fights against injustice to poor people in Muriyadi produced by K. Balachander and directed by Selva.